Dr. Harvey Rubin, Founder and Director of Energize the Chain (rubinh@upenn.edu). 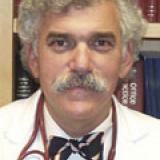 Dr. Rubin is Professor of Medicine with secondary appointment as Professor of Computer Sciences at the University of Pennsylvania. The NIH, NSF, DARPA and the Global Alliance for TB Drug Discovery have funded his research in infectious diseases, resulting in more than 90 peer-reviewed papers. He served on national and international scientific review panels including the NIH, NSF, NASA Intelligent Systems Program, DARPA, and The Medical Research Council, South Africa. He was a member of the U.S. National Science Advisory Board for Biosecurity and the Dept. of Defense/National Academy of Sciences Biological Cooperative Threat Reduction Program. Dr. Rubin is the founder of Energize the Chain a non-profit organization that ensures the delivery of vaccines to people in the most remote regions of the world by utilizing power and connectivity available at cell tower sites to power the refrigeration systems that are necessary to keep vaccines at the proper temperature. Check out the incredible speaker line-up to see who will be joining Harvey.